Prior to introduction of cloud computing and storage in the enterprise, in order to collaborate on documents, spreadsheets, and other files – they had to attach and then email the files back and forth complete with downloading each time and saving a new file version each time. Soon cloud storage and collaboration platforms allowed people in organizations (both onsite and offsite) to collaborate and share files in real time. Applications such as Dropbox, Google Drive, and Microsoft OneDrive all allow users to stored, edit, and share files via the cloud. 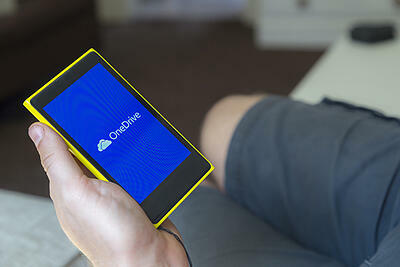 There was a caveat to Microsoft OneDrive though. While users were able to upload and share files via the OneDrive platform, they couldn’t easily sync or share folders with collaborators or co-owners. So if a team was working on a specific project, each individual user would have to access the files in OneDrive and then save them to their own computer as OneDrive didn’t support the syncing or sharing of the folder to their workstation or laptop. Microsoft announced this week that they are rolling out a new option for OneDrive users called “Add to my OneDrive” which allows users to sync shared folders from OneDrive. Moore goes on to mention that with the new sync client, you can select the shared folders you want from within OneDrive which will then automatically sync to a PC or Mac. There are a few pretty evident reasons as to why Microsoft finally released this capability. One is that their competitors have already been doing this for a while. Google Drive and Dropbox have allowed users to share and seamlessly sync folders for a while now. Also, according to an article on PCWorld, almost 6,000 users voiced their support for a share and sync feature on a Microsoft OneDrive feedback forum. The same article also speculates that Microsoft released the feature as a precursor to Microsoft Office 2016 which is poised to have real-time collaboration on files within OneDrive as a key feature with its upcoming release. If you are an employee or a business owner who is still struggling with having to save, attach, email, and download files for collaboration – it might be time to look for a cloud storage and collaboration tool. Let the experts at Privo IT help you figure out which platform is right for your business, based on your existing IT environment. Our skilled IT professionals can get you set up on the right platform whether it is Microsoft Office 365 with OneDrive, OneDrive to augment existing Microsoft Office applications, or making the switch to Google Apps for Work; we are here to help!